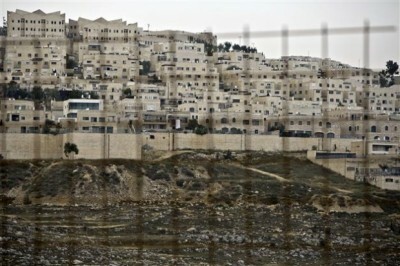 A view of the Ramat Shlomo settlement from behind a fence (AFP). Sami Miaari was looking for a new home for his family when he first made enquiries about moving to Misgav, in Israel’s north, two years ago. The first step for the lecturer, who works at Tel Aviv University, was to approach the offices of the Misgav Regional Council. There, he thought, he’d find the forms to apply to one of Misgav’s Admissions Committees – the bodies that screen potential new residents of Israel’s small community towns. But the staff at the office, Miaari told Middle East Eye, said they couldn’t help. He should go, they said, directly to the villages themselves. Miaari did just that. But at the first village, he was again told that the forms he needed were unavailable. At a second community town, he says, he was directed back to the offices of the regional council. In a third, he found another dead end. The door to the communities of Misgav, it seemed, were barred shut. “That’s when I got to the point where I thought: I really need to start legal proceedings against these communities,” Miaari said. He believes he was prevented from living in Misgav because he is Arab – a Palestinian citizen of Israel. Misgav Regional Council did not respond to Middle East Eye’s request for comment on the claims. The fight, however, has just been dealt a serious blow: last week, Israel’s Supreme Court voted to uphold the Admissions Committees Law, enshrining the legality of the controversial legislation. In the past, questionable grounds for refusal have been challenged by those barred from communities. When Fatina and Ahmed Zubeidat, recently-married architects, were prevented from moving to Rakefet – also in the Misgav region – on the basis of “social unsuitability”, Adalah took up their case. The family spent six years fighting the “humiliating” decision, and in 2011 the Supreme Court eventually ordered Rakefet to award them a plot of land. The law itself, however, remained. While critics hold that the law is likely to affect many minorities, several features mean it’s Palestinians who are likely to be most marginalised by its terms. A “Zionist vision”, Adalah notes, counts among the “special criteria” that communities can use as grounds for refusal. The Galilee and Negev, where the law applies, are areas where the highest numbers of Arab citizens of Israel live. Speaking to Middle East Eye this week, Rotem denied that the bill would discriminate against Israeli Arabs, or that it had the intention of doing so. “I just want to know who is going to be my neighbour. It’s based on criteria about how much you can be a part of the community,” he said. On the question of whether communities would welcome Arab citizens of Israel, he said “it would depend” on the communities concerned. “It’s not so bad to have a Jewish community. No-one will accept you in an Arab village,” Rotem argued. Unconcerned about issues of discrimination and the marginalisation of minorities, he believes the law is working well. “It has allowed communities to decide whether they want you in the community or not,” he explained. For its part, Adalah does not fundamentally object to exclusive communities: it’s “totally understandable” Mohsen says, that groups such as Haredi Jews may want to maintain a particular way of life. But the organisation argues that the law is expressly designed to exclude Arab citizens from Jewish towns – a policy that entrenches a regime of “apartheid housing” and perpetuates the systematic marginalisation they already face. People like Sami Miaari and the Zubeidat family often have good reasons to want to move to Jewish communities. Today, the land available to the Arab communities of Israel is seriously, and increasingly, limited: despite constituting around 20 percent of the population, Palestinian citizens of Israel are thought to own less than five percent of the country’s land. Arab municipalities control just 2.5 percent of state lands, and while 13.2 percent of the population live in Arab local authorities, they get just 9.1 percent of local council funds. The result is a shortfall not just in housing, but in education, health and other services too. According to Adalah, up to 93 percent of land in Israel is under direct control of the state and the Jewish National Fund. “We don’t have enough supply of land to give opportunities for young people to construct their houses in order to start a new life. We don’t have such opportunities, because the government doesn’t want to give the Arabs land,” Sami Miaari says. “I’m from a very small family. We left our land in 1948, and we don’t have even one centimetre left to even construct our houses in Sakhnin. For those campaigning against it, the Admissions Committees Law is not a discrete problem. It’s at the heart, they say, of a system that has dispossessed Palestinians from their historic land in favour of Jewish Israelis since the creation of the state of Israel in 1948, leaving Arab communities at the margins of a society in which one race is privileged above others. “We are not speaking about small details and things, we are talking about the very important domain of life; we are thinking about land which is a site for development, for housing, for everything.” Salah Mohsen told Middle East Eye.